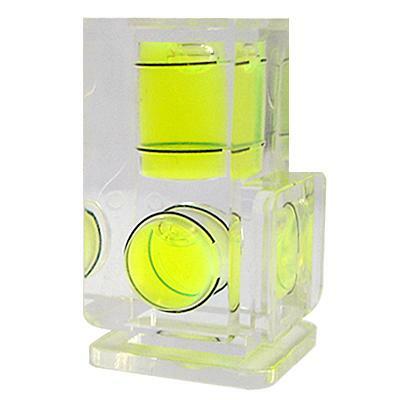 Digital camera hot shoe double dual axis bubble spirit level. 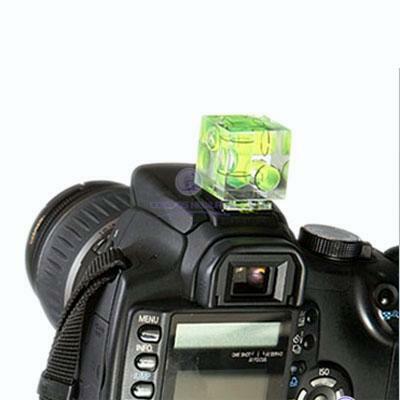 This double axis spirit level mounts into any standard hot shoe. Ideal for landscapes and architectural photography; double axis allows positioning of horizontal and vertical axis simultaneously. Great for panoramic photography.